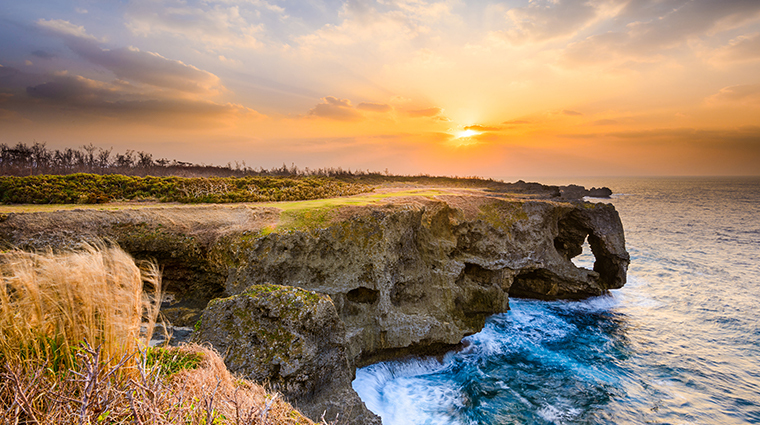 It is often said that Okinawa is the Hawaii of Japan, due to its lush vegetation, tropical climate and white sand beaches that come together to create a picturesque island paradise. Also like Hawaii, Okinawa consists of numerous islands, though most travel to the main island (also called Okinawa) via Naha Airport. But Okinawa is a place all its own. It is a blend of the hectic lives of Tokyo city-dwellers and the relaxing atmosphere of a tropical island. According to the CIA, Okinawans have one of the longest life expectancies in the world, so maybe there is a thing or two we could all learn from their lifestyle. The prefecture has its own unique culture, customs and dialect, because of its origins as a separate kingdom that wasn’t a part of Japan until the 1800s. The islands are full of dense jungles, rolling hills and spectacular beaches, providing the perfect conditions for a variety of outdoor activities, including hiking, golfing and diving, that are popular among locals and travelers alike.